I'm intrigued about sound's effect on matter. The conclusion of this piece will lead to my own (possibly crackpot) theory about SETI and their search for alien signals via the Kepler telescope scans (discontinued some time after I originally posted this article). If the tremendous implication of how sound affects matter tweaks your curiosity about why we are where we are in our evolution, come along with me to see if these ideas are worthy of your rumination. It begins with my reading Tesla: Man Out of Time by Margaret Cheny. His bio led me to cymatics, the study of sound and its visible effects on matter, or the geometry of vibration. This in turn led to Solfeggio tones and their correspondence to Fibonacci numbers, to international concert pitch and its off-landing in 1955 and finally, to aliens and why they might be avoiding us. A nutty trajectory, but bear with me. Let's begin with cymatics. Here are two great videos about how sound affects matter by David Icke and a TED talk by Evan Grant, which includes a great demonstration of a cymatic experiment you can do with your kids at home. If you're interested, look for more links demonstrating how sound frequencies move sand particles, salt or liquids to create amazing patterns; geometric in the former, and surreal in the latter. If you want to try the experiment you see in the TED talk, you can do it with parts from a hardware store to a more sophisticated rig using Chladni plates and frequency/tone generators. All you need is a space where you can get a bit messy, and a video camera to record what you see. (Trust me, you'll want to record it.) An anglepoise light would be helpful, and a C-stand to fasten the camera to, so you can point the lens toward the plate in a direct overhead shot. Another fun thing to do; download the six primary solfeggio tones to see how they 'look' in your experiment. (A quick internet search will yield results.) Play them as loops through iTunes by connecting your computer to a speaker. Mount the speaker beneath a Chladni plate, experiment with volume, and see what patterns each tone creates. In case you're wondering why it's called a Chladni plate, Ernst Chladni, a contemporary of Beethoven and the leading acoustician of his day, defined C=256 (which renders A note as 432 herz) as the scientific tuning. The Solfeggio frequencies are six pure tonal notes once used to make up the ancient musical scale, until they were altered by the Catholic Church in the 5th and 6th centuries. The Church claims they have "lost" 152 of the ancient Gregorian chants, but more than likely. they've been locked away in the bowels of the Vatican archives. It is said that the tones all have direct healing abilities. This begs inquiry. If in the beginning was the WORD, is sound, is vibration, isn't it everything? Science claims that all phenomena in the universe have a frequency. The Church loves to hide any knowledge that may prove liberating… and this idea of sound's effect on matter could be the key to many mysteries. Could it be that all physical and psychic disturbances can be traced to frequencies (sound)? This is a revolutionary thought, and so simple that it either eludes the greatest of minds, or do they just not want the hoi polloi to know? thirds, sixths, and ninths are extraordinarily powerful. the frequencies across all the other notes and octaves become divisible by 3.
then you would hold a key to the universe”. ​and if the effect is a riot of disturbed chaos, may be not so healthy to the organism it's effecting. Hence I recommend the Chladni plate experiment. See for yourself! Today all orchestras and musicians around the world tune to a standard international pitch of A=440. But it wasn't always 440. What happened? Beginning with Bach (who not only played organs but built them) in the 1700's, A = 432 was perfect tuning pitch for music. In 1815 Czar Alexander began messing with it and demanding the world's musicians follow suit. In the mid-1800's, the Romantic school of composers like Liszt and Wagner championed higher pitch. By 1850, pitch chaos was in full effect across Europe and in America. This went on for a while until 1884, when Guiseppi Verdi worked to institutionalize A=432 in Italy. This began a movement of operas in New York, France, and elsewhere in Europe maintaining pitches between A=432 to A=435 from then until WWII. A=432 became known as Verdi's pitch (in Italian, La Verdiano), a decidedly smoother pitch for opera singers, especially when transitioning from chest to head voice. A=432 hz is better, rounder, more colourful for singers, and corresponds with the Golden Ratio. A=440 hz is higher yet has a duller, dampened undertone harmonic, even though there is a certain brilliance in string and wind instrument tones. This video is a highlight lifted from the video on the right. Piero Cappuccilli (baritone) demonstrates the difference between the scientific musical pitch of A=432 Hz (the so-called "Verdi tuning") and the higher, unnatural pitch of A=440. In this clip, he sings excerpts from Carlo's aria "Oh, de'verd'anni miei" from the opera "Ernani" by Giuseppe Verdi. If one uses the high tuning (which is more or less standard today), the baritone is forced to incorrectly pass the register before the E-natural, as a result of the effort on his vocal cords. This destroys the original color intended by Verdi, and is also harmful to the human singing voice in the long run (especially for less developed voices). Cappuccilli first sings with the piano tuned to A=432, and not passing register, as Verdi wanted, and then with the piano tuned to A=440, indicating to the audience with his hand when the early passage occurred on E-flat. "Watch out for those E-flats," he said before singing it. Unfortunately this is Lyndon LaRouche's wife touting her husband's brilliance, but at least she's on point about the music. Highlights of the famous conference in Milan, Italy with participation of some famous opera and instrumentalist endorsers of the call for the lowering of the musical pitch to C=256. ​It's a blurry image but Renata Tebaldi is on fire in this video. Long, but very informative. Rudolf Steiner called A=440 "Luciferian" and claimed it responsible for discord on earth. Is it true that our shift to A=440 has possibly created an unhealthy effect on our consciousness? DNA oscillates to protect itself from stress. Could this change of 8hz affect the ability of our DNA to protect and regulate our genetic make-up? Let's look at Fibonacci. 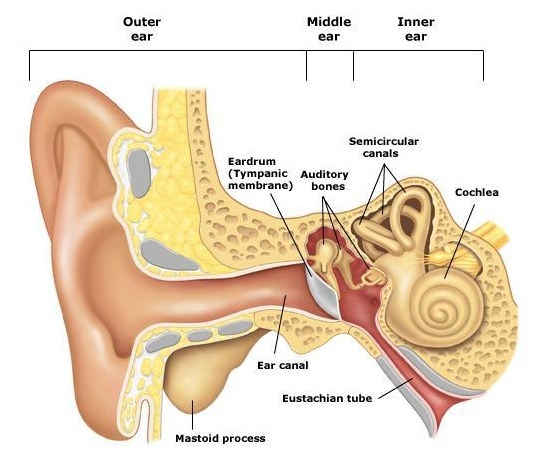 The waters of our inner ear rely on Fibanocci spiral dampening through the seashell-like structure of the cochlea to keep our equilibrium centered and grounded. (See cochlea images on top of this page.) This Fibonacci spiral in our ears helps cancel out certain wave interference patterns in order to keep us balanced. When the inner ear is stressed, we can experience a type of fog, or feeling of being spaced-out. Truly all frequencies affect DNA and consciousness, which in turn affects awareness. If you change a frequency, you can change the perception of dimension. 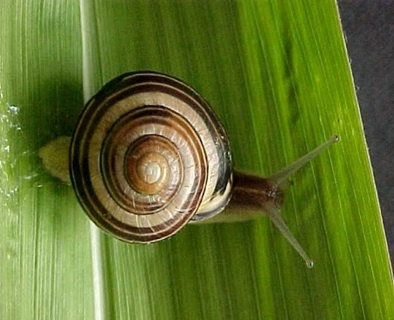 For an explanation on the subject of Fibonacci in nature, click here. Imagine if we were to use sound in the public arena to shift perception. We already do, for the most part, detrimentally Think about the corporations who run the airwaves choosing to dish out, in heavy rotation, the most violent rap music, and how it may affect a community, as one example. Or our addiction to news, talking heads filling our ears with toxic stories creating fear. Here's a more benevolent use of music; on trash pick-up day in Taiwan, people are lured out to the street with their bags of refuse by the sound of a tone-generated version of Beethoven's "Für Elise", played by the garbage trucks! Let's take this idea of sound manipulation into the mysteries of monolithic architectures. I know it's a reach, from Taiwanese garbage to Giza and am jumping all over here... but I recently saw a program on the extraordinary churches of Lalibela in Ethiopia, which were excavated out of single pieces of granite. How could this be humanly possible? Imagine if you can make particles of sand move on a metal plate with one single source of sound, alone in a room, what does that imply if, for example, a civilization came together to move matter with sound? Other architectural and inexplicable wonders like Giza, Teotihuacan... could they have been created with sound? Can it be this simple and yet we've completely missed it? Imagine sound is not a wave, but a bubble. Then imagine if you will, a being of an alien race completely attuned to sound, coming into the stratosphere of the earth's sound bubble, or should we say toxic noise bubble. If I were an alien I'd flee in horror! Multiply the sound of one noisy household with its family members on cellphones, ringtones, music, news broadcasts, TV, the hum of refrigerators and microwave devices, etc., or the noises of one urban avenue at prime-'noise'-time, then multiply that by megalithic zillions and imagine the toxic density of the sound bubble around the earth's atmosphere. I get vertigo just thinking about it. Hence my theory, that SETI will never establish contact with aliens. Any intelligent life out there would be repelled by our collective sound, and the fact that we've been completely ignorant about how to use sound to our best advantage, toward our higher evolution, for aeons. We make choices. About what we listen to, about the sounds we emit and create. All of it. For the better. But it takes INTENTION. We collectively hold realities into being and sustain these beliefs with our thoughts, into words, into sound. ​ What is the sound of America today? What are we holding in our thoughts? WHO AND WHAT HAS COLONIZED OUR MINDS THROUGH OUR HEARING? Remember that Gregorian chant I spoke of earlier, once lost, now found? The one featuring all six primary Solfeggio notes? I'll leave you with a recording of it, UT QUEANT LAXIS, the six Solfeggio notes in action.